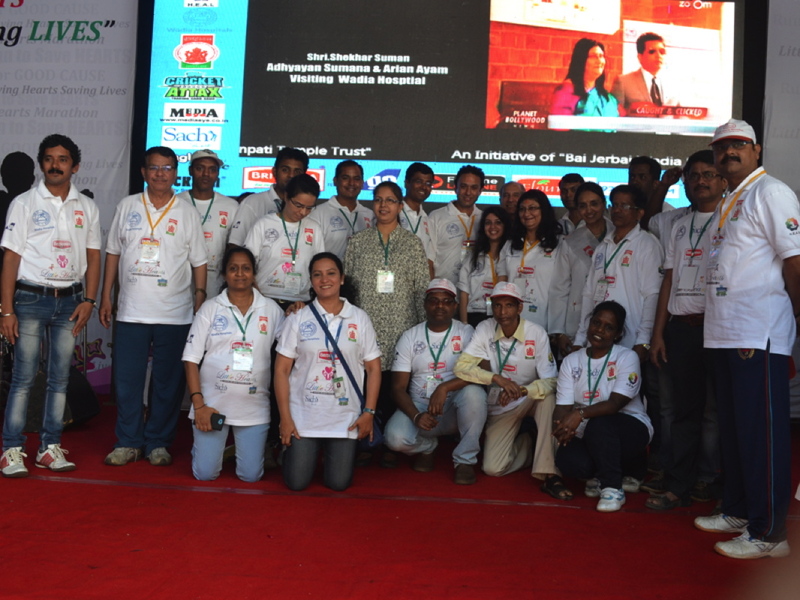 To stimulate & magnify the awareness for prevention of Cardiac diseases in our Nation and to help the children who are/will be suffering from Cardiac diseases, Bai Jerbai Wadia Hospital for Children (BJWHC) in association with Shri Siddhivinayak Ganapati Temple Trust organizes the Little Hearts marathon annually in the month of February. The marathon aims to engage the community to participate in a healthy and fun event, which will help raise the much-needed funds for setting up a cardiac center at BJWHC and in return reduce the costs and waiting time for Cardiac surgeries in our community. Today, the unhealthy lifestyles that lead to cardiovascular disease often begin in childhood and adolescence, so that prevention of heart disease must begin there. 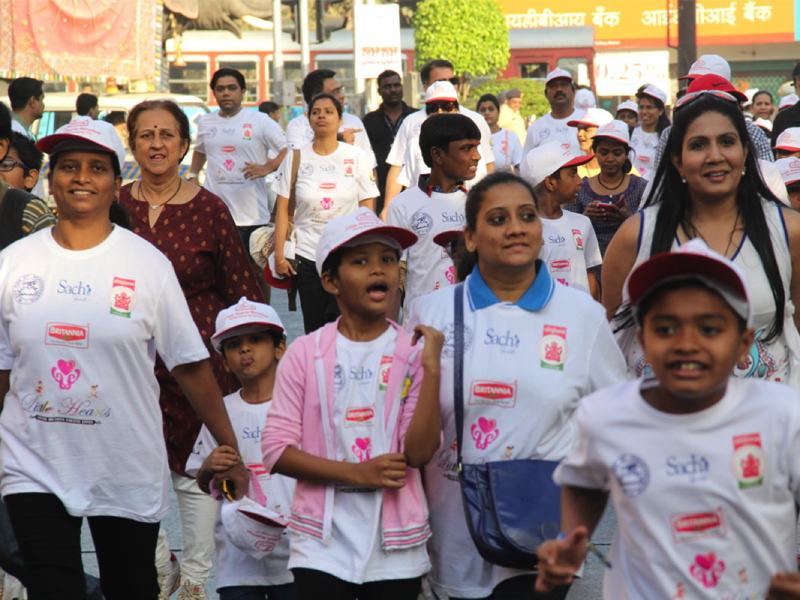 The need of the hour is to promote healthy diets & physical activity amongst the new generation and provide a second chance to children who are already suffering from heart diseases. Join our 2nd annual "Little Hearts marathon" for spreading awareness on prevention of cardiac diseases and to help us raise funds for a dedicated cardiac centre for disadvantaged children in our community who are suffering from cardiac diseases. Running for the marathon gives you an immense opportunity to change lives and give back to the community. Aid young hearts, aid young India!. . We invite you to look into the event and connect with one, two, or even more children’s run!Your involvement with us by sponsoring a run allows you with a unique opportunity to connect with the community on a more personal level. Your contribution will help a child run on your behalf.So if you cannot make it to the marathon for some reason or the other, make sure your presence is felt by contributing a run! Please note Last Date of registration 23rd January 2015 subject to availability. In case of any illness or disability please mail Fitness Certificate from your treating Doctor to marathon@wadiahospitals.org. 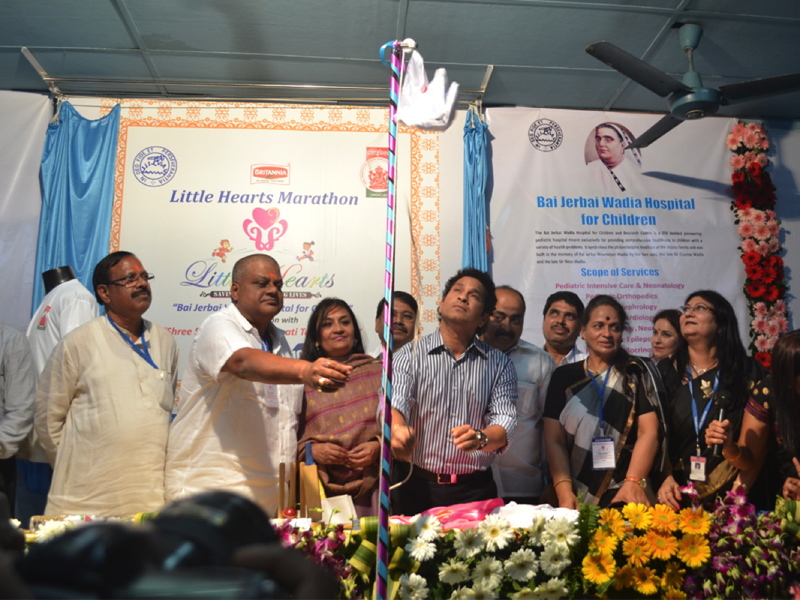 The Little Hearts Marathon is an event to spread awareness on Cardiac diseases: Prevention of cardiac diseases in children and also a fund raising event for the mentioned cause. It is mandatory for all confirmed participants to come to the BJWHC on 5th and 6th February 2015 between 10 am to 5 pm to collect T-shirts along with valid photo ID and copy of invoice. Information against all mandatory fields prefixed with ‘*’ on the entry form must be filled. Incomplete forms will be rejected. This Entry Form and the right to participate in the event and the rights and benefits available to the applicant under this application form is at the sole discretion of Little Hearts Marathon and cannot be transferred to any other person under any circumstances, and the applicant alone shall be entitled to the rights and benefits arising hereunder. Please go through all information mentioned in this website prior to submitting your application. Conformation of application received will be subject to the applicable qualification criteria and entry rules & Guidelines given herein. (i) I agree to the entry terms and guidelines. (iv) The security of my child is solely the responsibility of the accompanying parent/ guardian. The Organisers shall not be held responsible for any security related incident that may occur during the course of the marathon. (v) Any illness/ medical condition/ ailment have to be reported to the Organisers in detail. If the parents fail to intimate the exact medical condition of the child, or self; then the Organisers shall not be held responsible for any mishap that may occur or arise due to the such illness/ medical condition/ ailment. (viii) The parents/ guardians are required to strictly follow the instructions given by the Organisers and incase of the difficulty forthwith report to the Organisers. (xiv) Understand, agree and irrevocably permit Wadia Hospitals and Little Hearts Marathon to my photograph and record (on film, tape, hard drive, or any other method) my performance, appearance, name and/or voice and the results in perpetuity for the purpose of promoting the Event, at its own discretion. 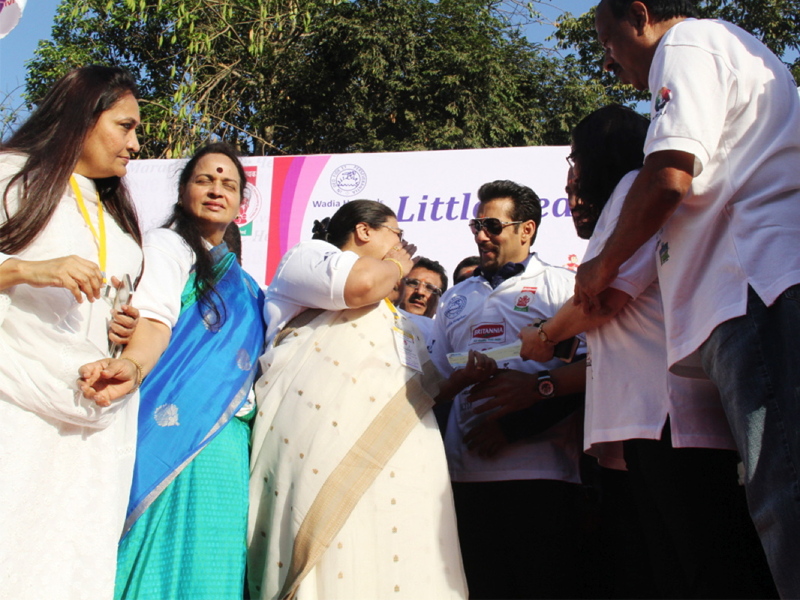 (xvi) I understand that it is at the discretion of Wadia Hospitals and Little Hearts Marathon to make any changes in the terms conditions and guidelines for the event.